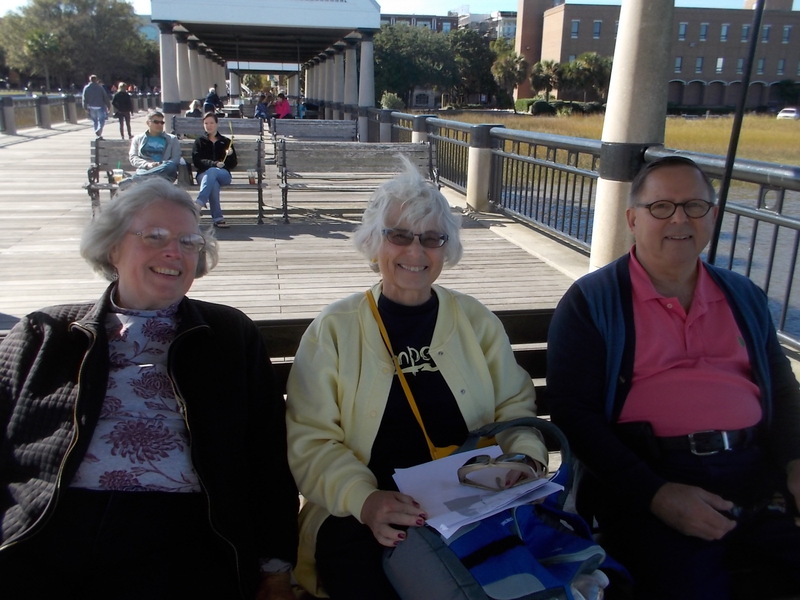 Out of many choices, John and I elected to do a walking tour of Charleston with Chris and Steve. What a delight that was! Chris consulted the map from time to time and guided us by the major sights. As we passed a market, she pointed out the baskets for sale. Out of earshot, she explained that sweetgrass baskets were a hallmark of the area. Down the next street were several women weaving baskets on their laps and selling their wares. If I were a basket person, I would at least have checked out the prices. Chris explained that many of the homes had two and three decker porches at right angles to the bay. The thin side of the house was the part that faced the street. Many homes had a door, like a formal front door, to the lowest porch. It tickled me that it opened from the outside into the outside. I always expected something a little different on the other side of a door. The rules of etiquette were strict. You could walk along and see people enjoying their porches, but you should not speak to them. 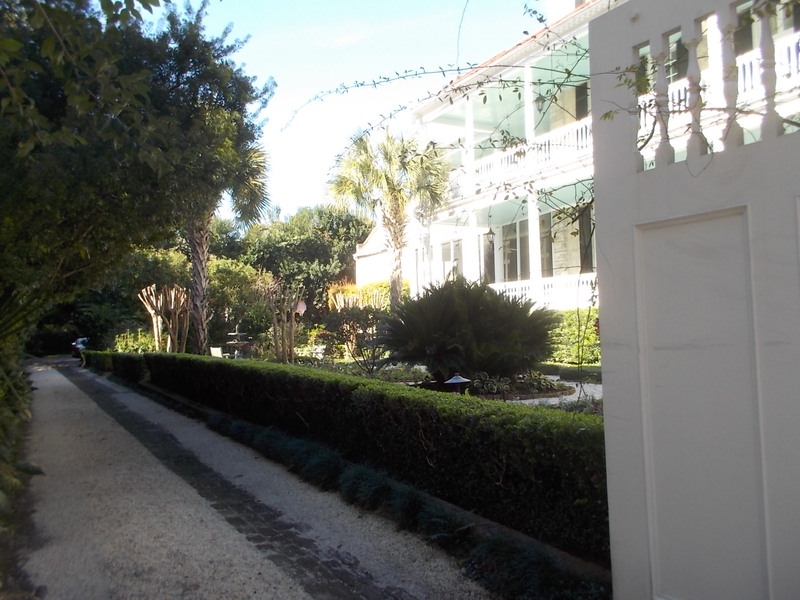 It was fun to stroll there and peek into the small gardens, many of which had lovely fountains flowing in full view. I’m sure John took in much more of the history as we saw churches, statues, and commemorative signs. After eating sandwiches Chris had packed, we wandered along the battery, enjoying the view of the harbor, Fort Sumter, tourists, and sea gulls. Before going back to the car, we went on Chris’ favorite pier where there are several large swings for the public. Also in that area was a large fountain with a sign that said no lifeguard was on duty. What a farce! The water was all at sidewalk level, the depression keeping it contained! What do I Miss from New York?